Android is always loved for its customizability. With an Android device in your hand, you can customize it to suit your all needs. All of us have a list of people; we wish to avoid them at any costs. Across the social media you can block their presence but what about your phone number? There are kinds of people who keep bugging you every single moment by calling you, texting you, etc. Sometimes you change your number, but it isn’t feasible and possible every single time. 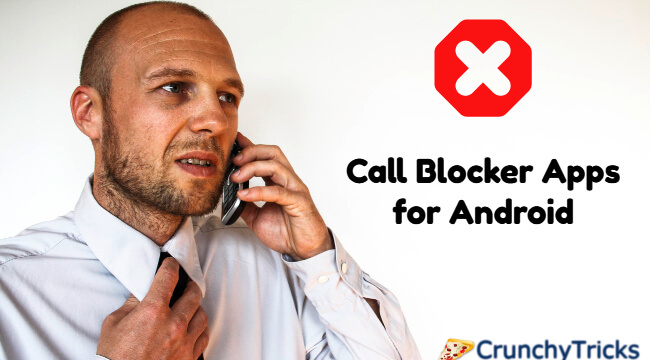 So here we present you a list of top 10 call blocker apps for Android. All of these are Free Android Apps, with some having premium versions offering extra support or features. So let’s begin with our list. This app is lightweight and is easy to use. Along with the call blocking features it also has an SMS filter to filter out all spam coming into your inbox. You can quickly add all the number you wants to block to the list, and rest of the work it does you. This app has some features like whitelisting few numbers and keeping the timer for blocking the calls. You can Block the calls according to your schedule. Business This app brings you a lightweight material design which is pretty decent and does the work fine. It prevents the unwanted calls and blocks spam SMS as well. You can also have your custom blocking modes. It works on low power and has CPU consumption. This app also features a Onering Phone Scam which is a function that detects and stops the possible Phone scams. This app features the blacklist for blocking of unwanted calls. UI is pretty much straightforward and decent looking apart from the other apps in its competition. Along with the usual block modes, it features some custom block modes that you can choose according to your need. This app has a very decent UI and simple to use interface. This app features a blacklist where you can block a set of numbers that contain a particular pattern of digits. It has a password protection in the pro version that protects your blacklists. You can either choose to hang up the call or mute it. spammers and telemarketers. It supports all features up to Android 4.3. But From KitKat and above it doesn’t support the SMS blocking and from Android 5.0 Lollipop it doesn’t support hang up calls option. Overall it’s a decent app that does its work well up to Android 4.3.
bug you. Else, you can learn how to remove your number from truecaller database within few minutes. This app has pretty extensive user database and sadly some features like retrieving Caller ID and identifying spammers work only over an active data connection. This app functions a good looking UI which is easy to use as well. Overall it’s an excellent app which you can use for free. This app features a good looking UI and is easy to use and has a light build. You can use it to block all your unwanted callers and callers who aren’t even in your contact list. You can block calls according to your schedules. It also has SMS and MMS blocking features, where you can block calls, SMS and even MMS from spammers or unwanted people. You can use the DND mode for blocking everything as well. The app comes with a powerful call blocking mechanism. It identifies and blocks all calls from the potential spammers along with the numbers from your block list. This app also identifies the caller ID if they aren’t on your call list. A pretty much similar app to the Truecaller. No doubt it has one of the largest 12 Million user databases. This app is a simple and easy to use with decent UI and is a light weight build. Along with blocking the callers and SMS spammers it also backups your messages for you which other most other apps in this range do not offer. It also deletes the unwanted call entries and spam messages from logs and blacklists them for you. This app requires root and Xposed framework for the KitKat users and above. It’s a very simple app with a decent and easy to use UI but has powerful features like blocking numbers with particular patterns, blocking potential spammers and even prevent potential SMS spammers. We can say that it's one of the most powerful apps in this category. You can use a lot of tweaks mentioned in the instructions to block spammers. It supports a wide number of languages and also has pro version with some special enhanced features. From all apps noted above this one is the best of all apps. But since it requires a root and Xposed Framework installed it might not be feasible for all the users. So this was the list of the apps that we think are the best for call blocking. All of them have some additional features in them like SMS blocking and so on. Each one of those does their work satisfactorily, and the choice of installation for any of these depends on upon the user’s satisfaction and convenience.